Here are three holidays cocktails sure to warm the cockles of your heart. 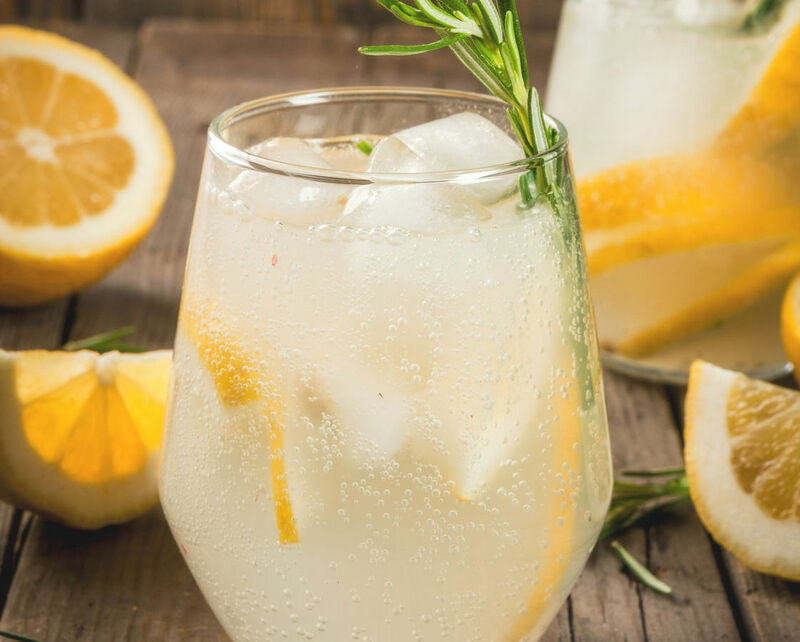 A delightfully light-bodied combination of St. Germain elderflower liqueur, sparkling wine (like Prosecco or Champagne), lemon juice and ginger syrup. It’s a breeze to assemble - you can even pre-mix everything except the bubbly, and simply pour as you go. The original recipe from Country Living calls for Maraschino cherries as a garnish, but I’m going with a chef friend’s excited suggestion to top this welcoming drink with a sprig of rosemary and a lemon peel. It really brings out the refreshment sip after sip. Pour the St. Germain, ginger syrup, and lemon juice into a fluted glass. Stir to blend. While I can’t speak to whether Havana, Cuba, has ever seen snow, I can speak to the deliciousness of their signature cocktail. A blend of rum, mint, and sugarcane, the name mojito is thought to come from the Spanish diminutive word for “a little wet”, mojadito. 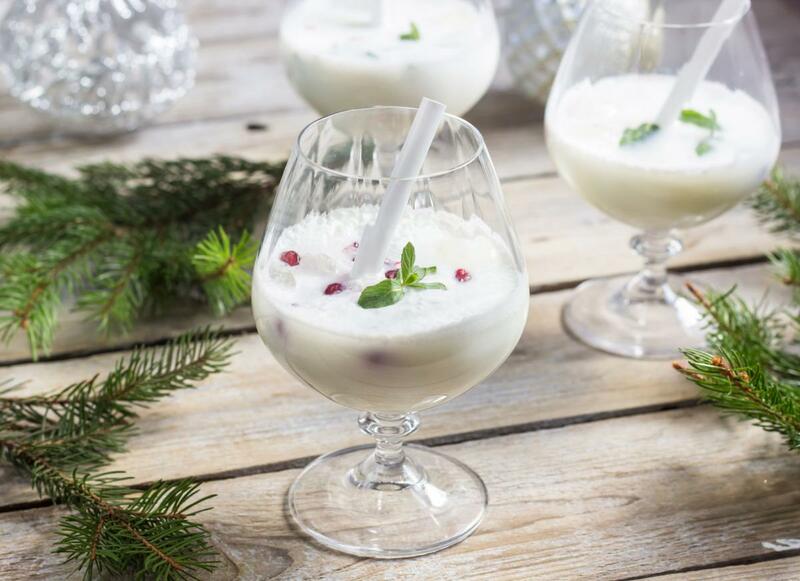 This recipe from food blogger Half Baked Harvest turns this classic into a beautiful, striking holiday cocktail with the addition of coconut rum and coconut milk. The garnish of pomegranate arils adds to the visual appeal in the glass and provides just a touch of tartness. You can make this ahead of your party to keep things nice and easy. Just give it a quick stir when you’re about to pour. In a large pitcher muddle the mint leaves, sugar, and lime juice until leaves have broken down. Serve over ice, with pomegranate arils for garnish. In the spirit of fair disclosure, I did not come up with the name “Clausmopolitan”, but I sure wish I did. The name, like the drink, has just the right amount of kitsch and shake-your-head awfulness to make it right at home with bad holidays sweaters and even worse jokes from your uncles. This recipe from Good Housekeeping calls for a simple lime peel garnish but if you find yourself feeling ambitious, I think a rim coated in deep green lime sugar really makes this jolly. Or go the full monty and get yourself a package of edible spruce tips. They really make a statement. Combine all ingredients in a pitcher. Stir to blend. I hope these drinks bring you lots and lots of holiday cheer! If you have a holiday drink recipe I simply must know about, or love spruce tips as much as I do, I’d love to hear from you at adam@adamcentamore.com, on Instagram at @eatdrinklearn, and on Twitter @100Loves.